It’s no surprise that I LOVE Cougar Shoes. Past winters and springs, you’ve seen me wear and support the brand. 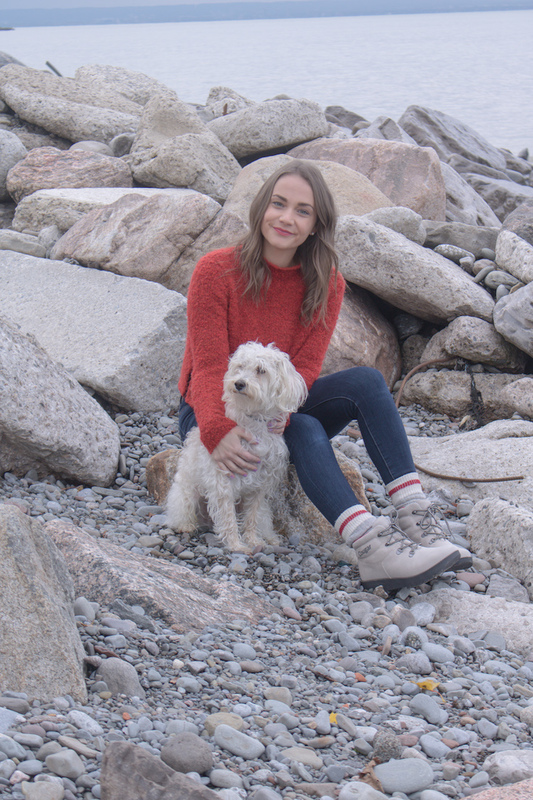 Not only are the shoes cute but they are comfy, warm and waterproof! Living in Canada, these are important factors when looking for boots because it’s not just the snow that gets us, it’s the slush! When that seeps into your shoes onto your socks, you’re not going to be happy. This year Cougar Shoes was nice enough to send me two new pairs of boots to help me get through this winter. The first pair I picked was the Paige Leather Ankle Boot in Mushroom. These ones reminded me of my first pair of Cougar Boots which were the Original Pillow Boot in red. I still wear them every year as the red is such a fun colour, especially around the holidays. 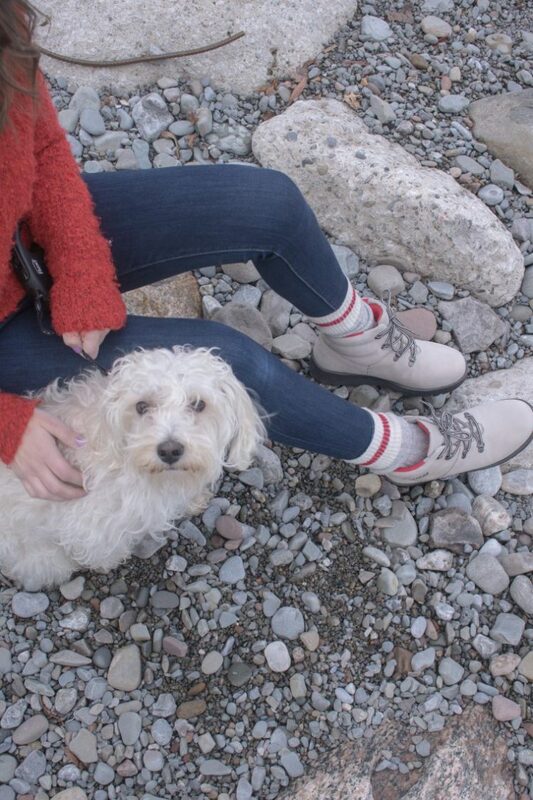 I also liked these boots because of how functional they were. With no heel, they are easy to slip on to wear for a winter hike or run some errands. The rubber sole gives good traction in the rain and snow so there will be no slipping this year, even when Scotch starts to pull on his leash! I’ve been wearing them for a few weeks now and have not experienced any rubbing or discomfort with them. 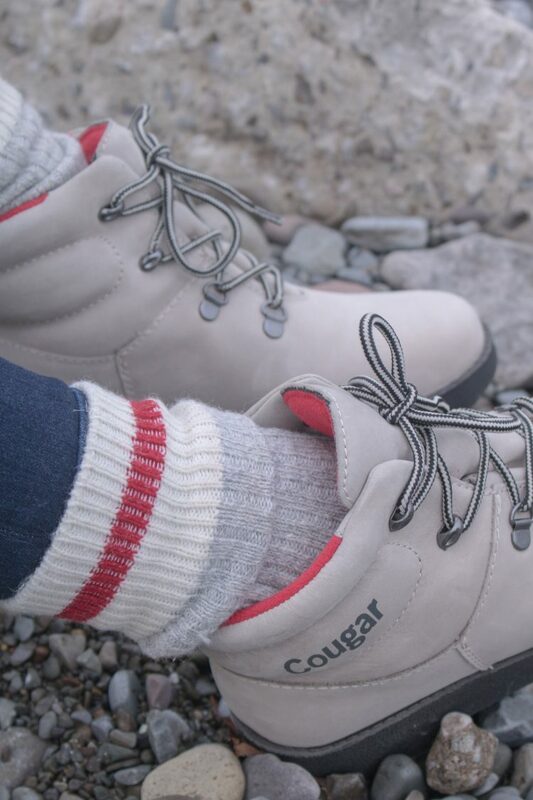 Unfortunately, there are no half sizing with Cougar Shoes, but I would suggest sizing up, especially with winter boots. As soon as you add thicker socks you’ll be fine! Stay tuned to the blog or my Instagram to see what other boots I picked up!